Our Reserves made the journey to Rock on Tuesday night and came away with both points following an excellent team performance. The home side started strongly scoring tweo goals in the first 6 minutes and led 2-2 to 3 points after ten minutes with the Sarsfields scores courtesy of points by Eamon Rea, Aidy Colton and Benny Drumm. A Dean Carroll goal reduced the deficit to two points on 11 minutes before Rock taged on 2 points to restore the lead to four points. 3 points in a 2 minute spell from Eamon Rea and Benny Drumm (2) reduced the lead to the minimum score before Rock scored again just on half time to leave the score Drumragh 1-6 Rock 2-5. The Sarsfields started the second half assisted by a slight breeze. Both sides traded points early in the second half with the Drumragh scores coming from Aidy Colton and Eamon Rea (2) before a 5 point burst in 5 minutes from the Sarsfields turned the game on its head, the scores coming courtesy of Eamon Rea (3), Fergal McCarney and Paddy Roche. A second Drumragh goal on 48 minutes courtesy of Ciaran Donaghey killed the match as a contest and the Sarsfields saw the game out with further scores from Shane Devine, Gareth Starrs and Eamon Rea leaving the final score Drumragh 2-17 Rock 2-11. 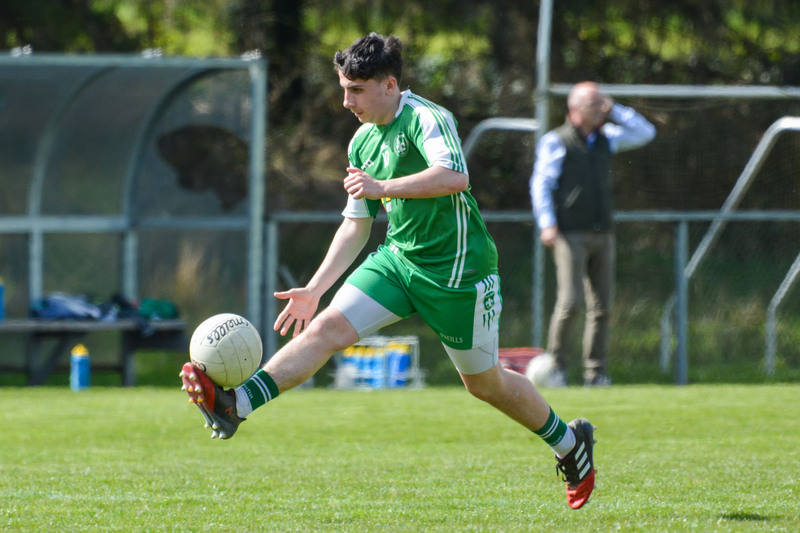 This was an excellent team performance with strong performances in defence by Oran Donaghy and Garbhan McKenna while Eamon Rea was a constant threat in attack. 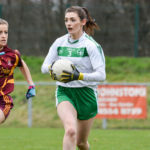 A feature of the game was that the Sarsfields had 10 different scorers contributing to the total.